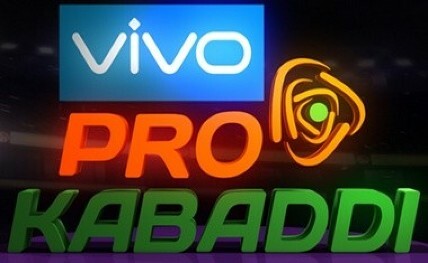 The inaugural day of the fifth edition of the Pro Kabaddi League (PKL) registered a cumulative TV viewership of over 50 million, registering a jump of over 59 per cent over the first day of the fourth edition, it was announced on Thursday. "With the introduction of Star Sports First, India's first free-to-air (FTA) private sports channel, and SS1 Tamil, a first of its kind dedicated regional sports channel in India, Star Sports has allowed for India's own sport to reach out to the growing number of Kabaddi enthusiasts across the nation," a release said. The state of Karnataka has contributed significantly with a viewership growth of 137 per cent for Season 5 as compared to the previous edition. The average rating for day 1 showed an increase in other key markets as well with Andhra Pradesh and Maharashtra registering a growth of 48 per cent and 22 per cent respectively, according to the release. In addition, the recently launched FTA channel, Star Sports First accounted for 23 per cent of the total viewership generated on the inaugural day of the season. Sanjay Gupta, MD, Star India, said: "I believe this is the first big year for sports beyond cricket. The spectacular growth in viewership for Kabaddi is testament to this journey. "It is heartening to see the response VIVO Pro Kabaddi has evoked from millions of fans across the country, cutting across geographies and demographics and I am truly overwhelmed by its success and rapid rise."